Once the heat of central Florida combines with extreme humidity, it can quickly make any indoor space feel unbearable. 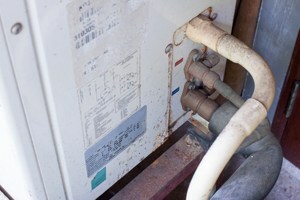 When your air conditioning system malfunctions, chances are good that you’ll notice it right away. Stepping indoors from the heat, you’ll appreciate that cool, comfortable feeling as you breathe a sigh of sweet relief. The AC service College Park needs for comfort continues to be expertly provided by DC / AC Air Conditioning and Heating as it has been for over 25 years. We’ve achieved a Better Business Bureau rating of A+ that we fully intend to maintain. We also strive to keep up our brilliant record of excellent service and the great reviews we consistently receive from satisfied customers. We know that a hot and uncomfortable home or business space is not only an annoyance, it can be unhealthy as well. Everyone is bothered when the indoor temperatures and humidity soar, but the people most affected are those who are ill or have compromised immune systems, the elderly, small children and pets. Heat exhaustion can creep up on a person slowly and cause symptoms like feeling faint, being extremely thirsty, experiencing headaches and having an overall lethargic feeling. The College Park air conditioning repair trusted by residents and businesses alike from DC / AC Air and Heat responds quickly to every inquiry, sending an expert technician out as soon as possible to troubleshoot and repair any make or model of air conditioning system. When your air conditioning fails, there’s not a moment to waste in getting the help you need to keep everyone feeling healthy. A technician from DC / AC Air and Heat will be out in a fully stocked vehicle, ready to get to work on your system to restore it to its optimum functionality. Any issues with your system will be thoroughly explained to you in a way that you can understand and your options will be presented to you clearly so you can make informed decisions. We pride ourselves on providing the affordable AC repair College Park needs to keep your indoor surroundings cooler and healthier. Folks in College Park need the expert AC service College Park depends on to be their partner in keeping homes and businesses cool even in the hottest warm weather months. Service is always provided by DC / AC Air Conditioning and Heating with a focus on consistency and on helping you to have the most cost-efficient, money saving system. If it’s decided that you need a new system, you can depend on our experts to steer you in the right direction. 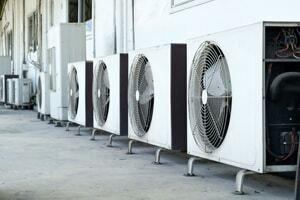 Correctly Maintained and New AC Systems Can Save You Money! 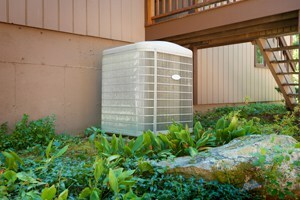 Expert College Park AC repair helps to keep your existing AC system well-maintained and running right. If it’s determined that you need a new system, our HVAC experts are well-versed in all the nuances of the latest systems. Your AC specialist is happy to explain all the details of the new systems, including helpful information like energy-efficiency ratings, use of technologically advanced thermostats for efficient unit operation, and projected savings with new systems. We can even help with paperwork for rebates. We have you covered! The Residential AC repair College Park FL trusts from DC / AC Air Conditioning and Heating also provides helpful maintenance schedules and advice for choosing the right maintenance plan for your system that works for your needs and for your schedule. Keeping your system properly cleaned, filters changed and all parts maintained is essential to having the most smoothly operating and efficient AC and heating system. With DC / AC Air Conditioning and Heating as your partner in keeping your home or business cool and comfortable, you’ll notice the pride we take in delivering the expert AC repair College Park depends on for results. We’ll always let you know exactly what needs to be done and what your costs will be so you can make good decisions regarding your individualized system care. Whether your needs are for simple repair or replacement of a thermostat, cleaning of coils, recharging or an entire new system installation, you’ll have complete confidence in our expertise. 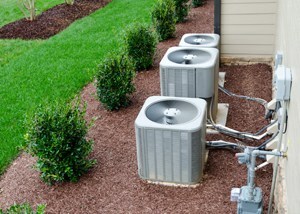 Your complete trust in the College Park AC repair we provide is always our goal. Our best source of pride comes in knowing that you’ve recommended our service to your friends, family, neighbors and co-workers because you were totally satisfied with the expert service you received. We’ve earned an excellent reputation for going the extra mile for you and that’s something we’re committed to continuing. When your home or business is hot and getting hotter, it’s good to know you can count on true experts in College Park air conditioning repair from DC / AC Air Conditioning and Heating to restore cooler temperatures and your peace of mind.